Here’s a question that we get all the time—what are the best shoes for jumping rope? 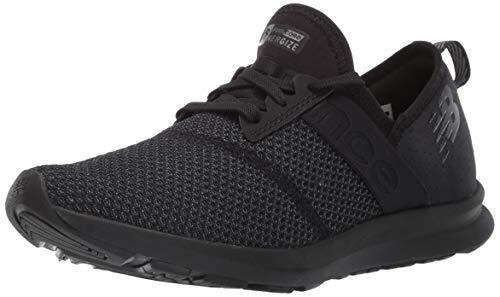 Keep on reading to find out all the details you need to know about our top five picks for jump rope shoes. Now, keep on reading our guide to the best jumping rope shoes money can buy. It can be hard to find suitable sneakers for these kinds of activities (and to choose the best ones), but don’t worry, help is here! 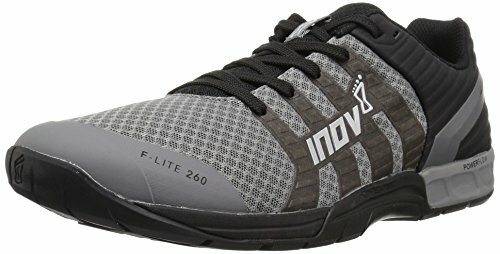 Our top pick is the F-Lite 260 from Inov-8. 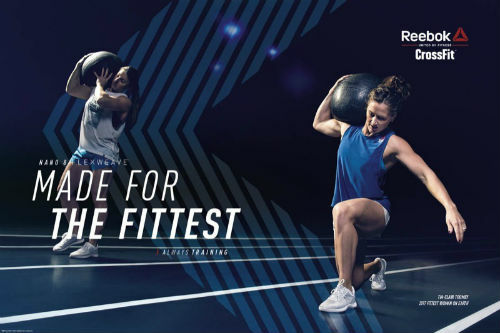 It’s a cross training shoe that offers a ton of stability, support and an extra hit of shock absorption. Combine that with the cool looks, reasonable price and you certainly have a winner. 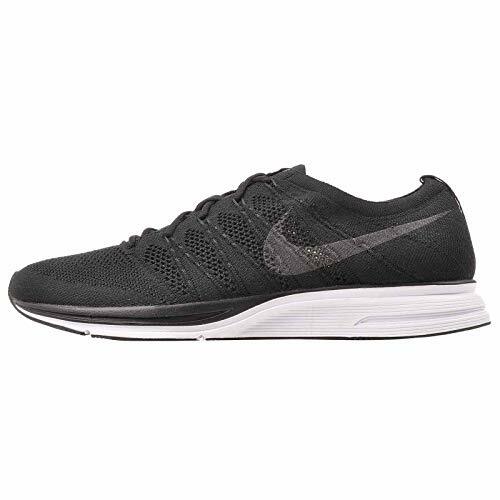 Next up on our list of the best shoes for jumping rope is the Nike Flyknit Trainer. 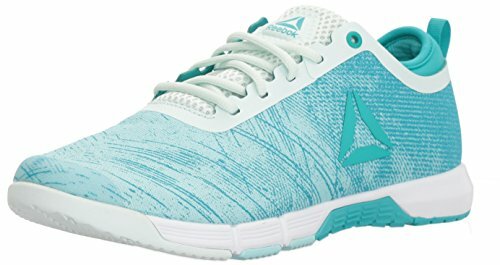 If you take a look around your gym or CrossFit box, chances are that you’ll see someone wearing this shoe. We recommend it for jumping rope because it’s reasonably priced, durable, but also very light in weight and has a ton of shock absorption. Basically, just about everything you could possibly want in a jump rope shoe. Next up on our list of the best shoes for jump rope is the Adidas Freak X trainer. It’s a nice combination of light and breathable, along with superior support and shock absorption. Plus, the grooves allow for excellent control and traction. Basically, they’re the ideal jumping sneakers and a lot of people swear by them. Keep on reading to find out more about them. 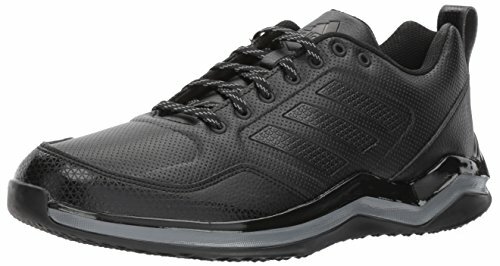 Another top pick for the best jump rope shoes is the New Balance Fuel Core trainers. 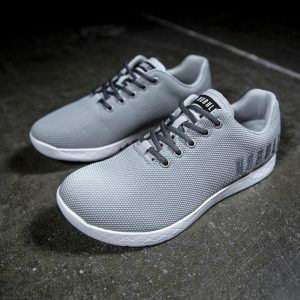 If you prefer the memory foam style of insert in shoes that are light on the feet, these may be the ones for you. However, if you don’t, they still could be—it’s removable if you want to use them with something like orthotics. 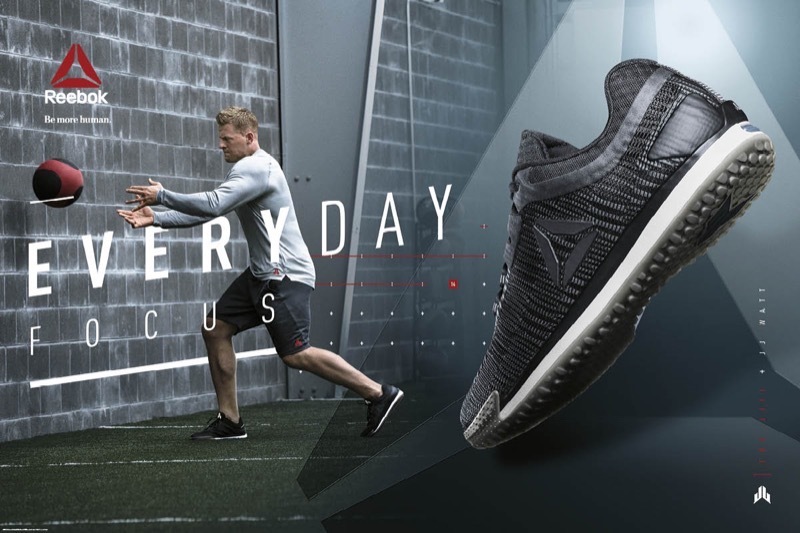 Just be aware that these are more like dance or gym shoes and not the typical, heavy duty running shoes that you may be used to from New Balance. Besides that, they have a lot of spring-back to them and are light on the feet. In short, an ideal shoe for jumping. 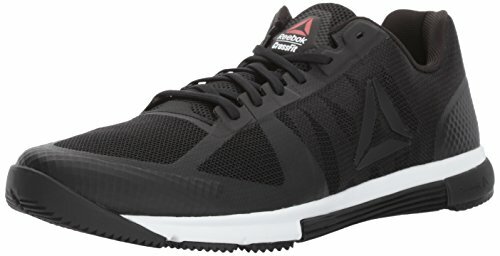 Another top choice for the best jumping rope shoes is the Reebok CrossFit Speed training shoe. 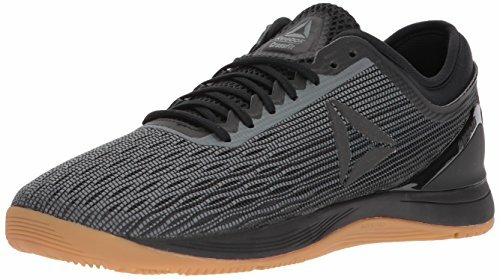 It’s a durable CrossFit shoe that’s not only light in weight, but also has a ton of cushioning. Besides being ideal for jumping rope, you can use it for just about any indoor workout: lifting, sprints or cardio, rope climbs, and box jumps. It’s a beast to say the least! If you choose the wrong workout shoes, it’s easy to get injured. 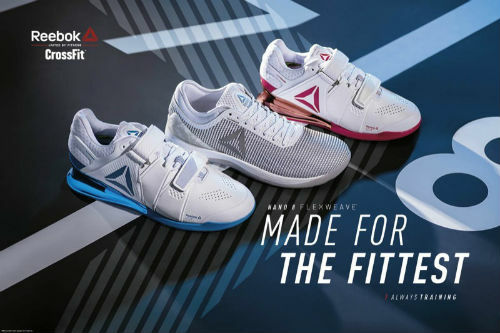 However, these ones from Reebok will protect your joints from the impact on the ground, offering lots of padding and security. 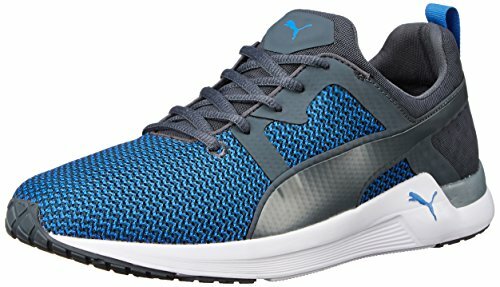 Next up on our list of the best shoes for jumping exercises is the Puma Pulse XT. It’s a cross trainer that’s ideal for jumping, sprints, lifting and more. We love it because it has a ton of support, is reasonably priced and has some great user reviews all over the Internet. The next recommendation for the best sneakers for jumping is the Reebok Ros. 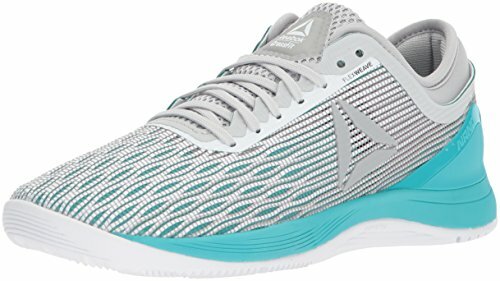 It’s a training shoe that’s very light in weight, but still has a ton of support that’s necessary for when you’re jumping rope. It should certainly be one that you consider. However, one of the best things is the price. It’s very reasonable when you consider what a high-quality shoe you’re getting. Keep on reading to learn more about it. 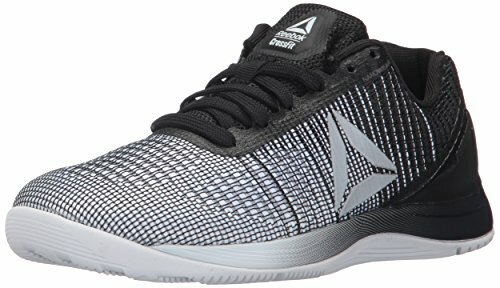 What Should I Look for in Jump Rope Shoes? 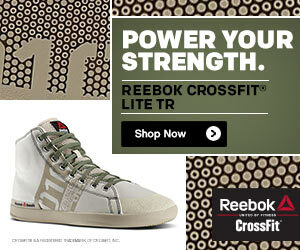 Keep on reading to find out what factors you should be considering when looking for a pair of shoes for jumping rope. When you consider which athletic shoes to buy, you’ll certainly want a pair that has a mesh upper. This makes them far more breathable and comfortable for your feet that all-leather. Besides that, you’ll want to make sure there’s a shock-absorbing sole that can handle the impact of jumping. Plus, a durable, grippy rubber surface that will be slip-resistant. In general, you can expect to spend around $100 USD on a top-quality pair of cross-trainers. Sure, you can spend a bit less in some cases but many of these shoes are the lower-end versions of the best models from each brand. Jumping rope is a high-intensity activity and you’ll want a pair of sneakers that can stand up to the test. When you’re doing this kind of exercise, you’ll probably want the lightest, but still supportive shoes you can afford. Think about it this way. You have to pick your feet up with every single jump. Why not pick up the lightest amount of weight possible? We prefer shoes that have some rubber on the toe portion of the shoe. This makes them far more durable because this is often the first area that starts to wear out. In addition, when you try your shoes on, be sure to wiggle your toes around. Do you have enough space to move them freely. If you don’t have enough space for your toes, those shoes are going to be quite uncomfortable for you. Also be sure to wear the same socks you do when you workout. This will give this most accurate picture of whether or not it’s the right shoe for you. We always recommend a shoe with a removable insole, as opposed to something like those memory foam ones where you can’t. This makes them far more customizable with Superfeet insoles or custom orthotics. Or, just an insole that’s a bit more supportive and absorbs a bit more shock than the cheap ones that usually come with most sports shoes. The most important thing in a pair of shoes is that they protect your feet from injury. After all, that’s what they’re designed to do, right? Look for a shoe that’s well built, supportive, sturdy but also light in weight. They should provide a ton of stability during your movements under all kinds of conditions. Of course, they should fit you well and not require a break-in period. For this kind of activity, we prefer shoes that are not so low-cut. This offers a bit more support for the ankles, which can take a beating particularly if you do this activity on slippery, or uneven surfaces (avoid this if possible!). You can also protect your ankles from the rope as well if they’re a bit higher cut. 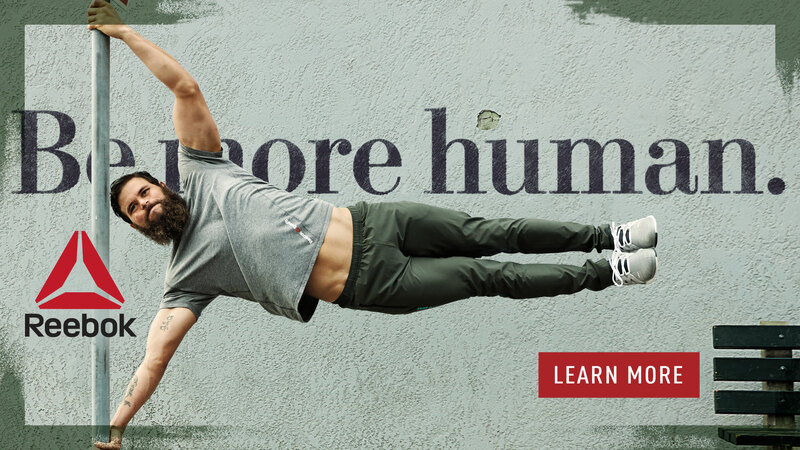 Do you want to look like a badass when you train? Then you should certainly consider style along with all these other factors. Don’t care? Then you have ALL the options available to you! Another common question is about running shoes vs. crosstrainers for this kind of exercise. Which ones are ideal for jumping rope? Running shoes have a heel-toe differential of 10+mm. Cross-trainers are around 4-6mm. Running shoes have no lateral support because they’re only designed for forward motion. Crosstrainers have lots of this kind of support. Running shoes are very flexible in the soles, while crosstrainers are still flexible, but less so. Running shoes absorb lots of shock from each foot strike. Cross-trainers also do this but to a lesser degree. When you consider these factors, we definitely recommend cross-training shoes. 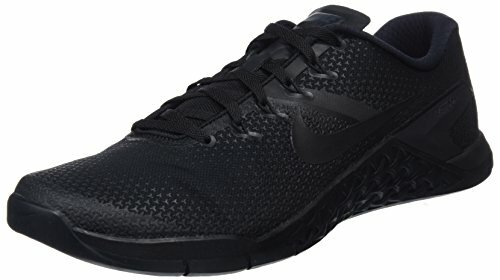 Although they do have a bit less cushioning, they are far better designed for up and down, and side-to-side motion than running shoes which are designed for only a forward motion. The other factor is the heel differential. Running shoes have a very high one to help propel the feet forward as you run. This makes them not ideal for jumping rope because you’ll feel a bit unsteady in them. However, cross-training shoes are lower, which makes them ideal to give you more stability as you jump. What about Jumping Rope Barefoot? There are a number of people who wonder about doing this form of exercise while barefoot. Some podiatrists recommend this is a way to strengthen the muscles in your feet and legs and prevent injuries. However, there are others who certainly recommend against this because you’ll lack any sort of shock absorption. The jury is certainly out on whether or not you should be running, doing CrossFit or jumping rope without shoes. Check in with your doctor, physiotherapist or podiatrist for advice regarding your specific situation. If you do decide to do rope jumping barefoot, carefully consider the surface you’re doing it on. Somewhere soft (grass or artificial turf for example) is much better than cement or concrete. You could even find a piece of old carpet to keep for this purpose. Another consideration is what happens if the rope hits your feet. When you have shoes on, it’s not a big deal. However, it can be quite painful when not wearing shoes. It’s for this reason that we definitely recommend beginners sticking with shoes. Can I Jump Rope Barefoot? 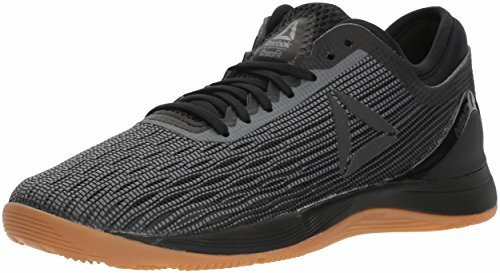 What are your thoughts about the best shoes for jumping rope? Leave a comment below and let us know your top pick. Anne is a blog writer from New York, who realized that all of the time she spent sitting in front of her computer was not good for her health. As a blogger for a fitness site she was already familiar with some of the CrossFit exercises. After noticing a difference in her level of energy, and toning some muscles that had become flabby, Anne's decided to use her love of writing to tell her readers about the benefits of CrossFit.